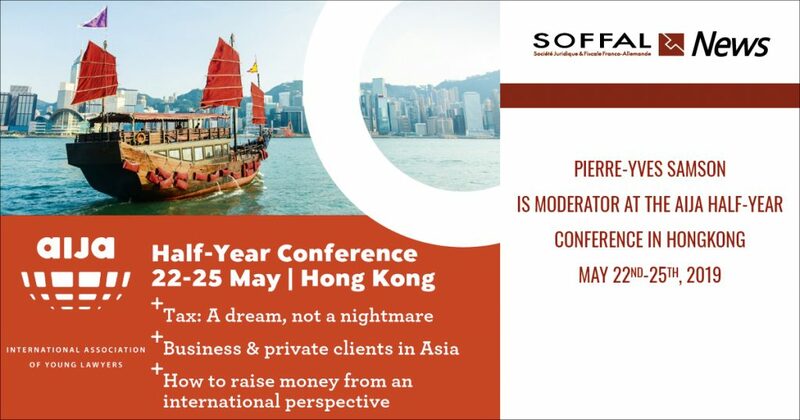 Pierre-Yves Samson will join the AIJA half-year conference in Hong-Kong between May 22nd-25th 2019. He will be in charge of the moderation of a panel on „Growing Anti-Money Laundering legal framework in financial centres: who wants to be top of the class? – The growing Anti-Money Laundery duties for financial intermediaries, their extra-territorial scope and the liability for their violation“ with four colleagues from Hong-Kong, Japan, Malaysia and Switzerland. A fascinating subject in an equally fascinating city! If you have any questions or would like to arrange an appointment, we are at your disposal.